What Are the Advantages of Modular Construction? When it comes to altering the layout of your warehouse, whether it involves adding offices, cleanrooms, or partitioning off one part of your warehouse from another, the choice typically comes down to selecting between modular construction and general stick-built construction. These two building methods each have their own advantages, but it becomes clear when looking at the full list that one is the better choice. Read on to find out why you should opt for modular construction. One of the primary factors to consider when choosing a method of construction is how much time each one will take. Remember, time is money, and so a time-consuming method will disrupt your normal operations for much longer. Stick-built construction inherently takes a longer time, as the structure must first be designed, then created from scratch. Modular construction, such as the kind both In-Plant Offices and PortaFab manufactures, utilizes standard components that are easy to integrate into any facility, allowing for a customized feel for a fraction of the time. In some instances, within about one week from an order being placed, S. W. Betz can have a structure completely assembled and ready for use in your facility. Disruption to your everyday business and operations can also come into play when you are deciding on a construction method. Of the two available to you, modular is again the clear winner here. Not only does the reduced construction time mean reduced disruption, but also the use of standardized parts and materials means that you will not have to deal with the mess created by stick-built construction. Another one of the advantages to using modular construction from In-Plant Offices or PortaFab is that they are low-maintenance. A stick-built structure might require repainting and surface repairs over its lifetime, whereas your modular structure will need a semi-regular surface cleaning at the most in order to keep it looking its best. But perhaps the top advantage when it comes to selecting modular construction is the adaptability. Today you might need a simple 20 foot by 20 foot office. As your business grows, needs change. Tomorrow you may need more space so you decide to build a mezzanine and put your offices on top; or you might hire additional staff and have the need to expand your existing structure. 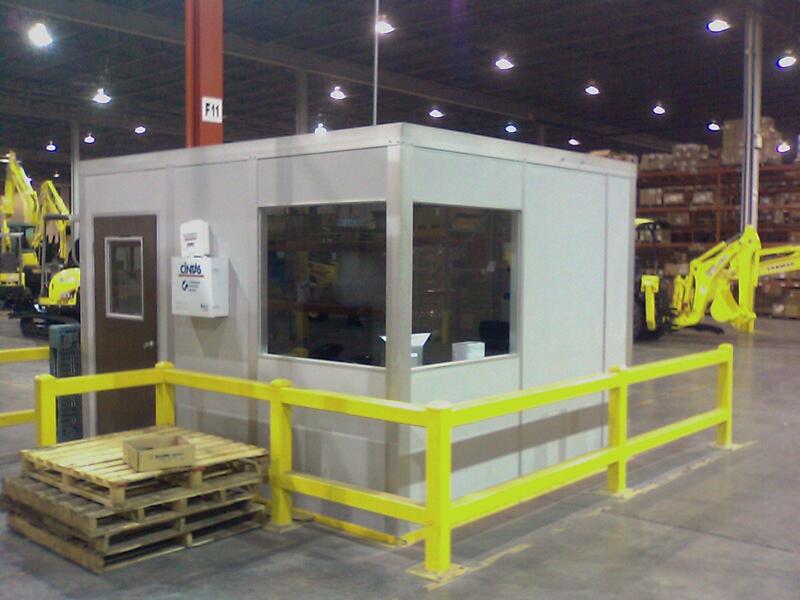 Modular construction allows you the ability to add to, relocate, and reuse any and all parts. If you are considering expanding your facility’s space or reorganizing it with new structures, consider opting for modular construction. S.W. Betz’s relationships with top vendors like In-Plant Offices and PortaFab are sure to get you the results you want! This entry was posted on Thursday, February 26th, 2015 at 7:56 pm. Both comments and pings are currently closed.